It’s official, folks — we can finally stop arguing over which is the superior game console, thePlayStation 4 or Xbox One. Quite frankly, it’s a pointless debate, and it took a self-taught engineer to put the argument to rest, which he did by combining both game systems into a 22-inch laptop. 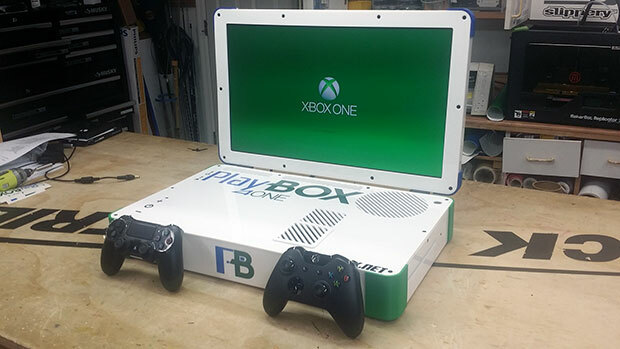 Ladies and gentlemen, meet the “PlayBox,” a gaming laptop that’s equal parts Xbox One and PS4 rolled into one. The PlayBox wins the argument because it allows you to play games on either system, and when it comes down to it, the ability to play games is all that matters. Built for a “specific customer,” the owner of this prototype system needn’t worry about exclusives since he now has a system that can play them all, and do it while taking up no more space than a single console. 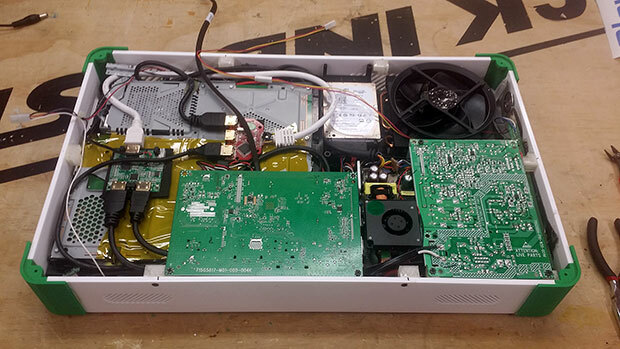 Therein lies the real beauty of this mod — Ed Zarick, the engineer referenced above, crammed both consoles into a 22-inch laptop form factor that’s the same size as an Xbook Duo, a previous mod of his that combined an Xbox 360 and Xbox One into a single frame. It looks like a chunky laptop with an integrated 22-inch Vizio screen. However, it’s not a simple case of shoehorning two console boxes into a case and calling it a day. Instead, Zarick carefully disassembled each console and transferred their respective guts into a new, shared body.